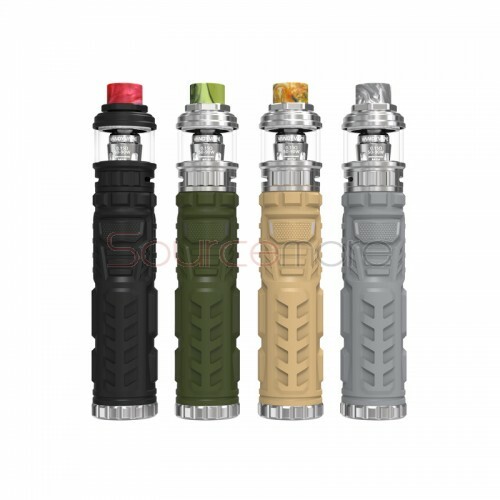 Trident Kit by Vandy Vape is a waterproof vape kit with silica gel surface. It consists of Trident Mod and Trident Sub Ohm Tank. The mod is equipped with PCB board. Multiple protections are provided to avoid potential risks. Powered by a single 18650 battery, the Trident can reach up to 100W. Its LED display shows you the clear battery power. The Trident Tank features top refilling system. Integrated mesh replacement coil, it can bring you massive clouds and pure flavor. 4 colors available: Gray, Yellow, Green, Black. All times are GMT+5. This page was generated at 09:31 AM.